Emory University has received the 2015 Community Engagement Classification from the Carnegie Foundation for the Advancement of Teaching. Emory is one of 240 U.S. colleges and universities so honored this year and one of only 361 currently holding that designation, according to the foundation. In a recent correspondence to Emory, the Carnegie Foundation commended the university for “excellent alignment among campus mission, culture, leadership, resources and practices that support dynamic and noteworthy community engagement.” Emory received its first Community Engagement Classification in December 2006, with this year’s process being the first opportunity for the university to reapply. During a single year, 2011-12, Volunteer Emory engaged more than 3,100 members of the Emory community, mostly students, for more than 17,000 hours of service work in greater Atlanta and the southeastern United States. 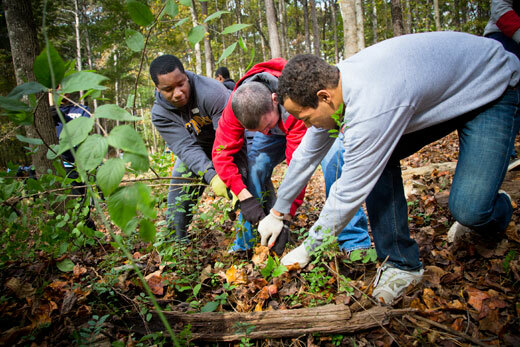 Among Emory’s numerous initiatives that enable students to integrate coursework with community engagement, more than 150 Community Building and Social Change Fellows completed 40 projects in scores of community partnerships, yielding far-reaching benefits to countless local residents since Emory launched the program in 2002. As part of Emory’s commitment to the Atlanta community, Emory Healthcare clinicians provided $80.3 million in charity care to patients in the Atlanta metro community in 2012-13 alone. During the same period, Emory medical faculty delivered $25.7 million in uncompensated care at publicly owned Grady Memorial Hospital, where many patients are indigent. 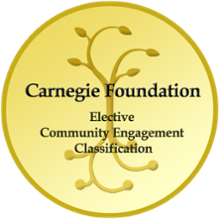 Unlike the Carnegie Foundation’s other classifications, which rely on national data, Community Engagement is elective. Institutions choose to participate by submitting required documentation describing the nature and extent of their community engagement. This approach allows the foundation to address elements of institutional mission and distinctiveness that are not represented in the national data on colleges and universities. The process of documenting community engagement throughout Emory was led by the university’s Center for Community Partnerships.